Maddix Park | How did fish get involved with MX? Do you remember Gyro Gearloose? He was an anthropomorphic chicken created by the Walt Disney Company who appeared in the Scrooge McDuck comic-book series. Gyro was the town of Duckburg’s most famous inventor. Because his inventions were rarely successful, the name Gyro Gearloose has become synonymous with any inventor with a crazy or crackpot idea. Motocross has had more than its fair share of Gyro Gearlooses—some amazingly successful, rich and lauded for their ideas, while others were derided, laughed at and forgotten for ideas that were just as good. Sadly, some of the most creative motocross inventions never made it to the bikes of a sport dedicated to innovation. MXA presents the latest installment in its series of weird and wacky inventions. The cable attached to the rear brake pedal is routed to the top of the shock. It has inline cable adjusters for tension settings. 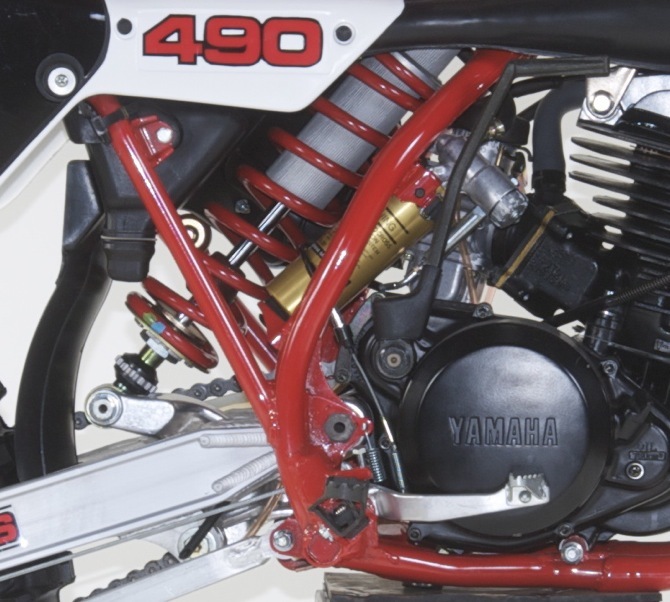 Designed by Yamaha’s engineers for the 1985 model year, BASS was the Yamaha acronym for “Brake Acuated Suspension System.” The idea had some merit on paper, but it didn’t work on the track. On a BASS-equipped 1985 Yamaha a cable ran from the rear brake pedal to the shock’s compression valving. When the rider pressed the rear brake pedal, the cable would open a valve in the shock to lighten compression damping. Yamaha’s concept was fairly basic. When you applied the rear brakes in choppy bumps, the torque effect between the wheel, swingarm, chain and shock stiffened the rear suspension—causing wheel hop and chatter. Yamaha was especially sensitive to wheel hop because riders of the day called it "Yamahop." By opening a valve when the rear brake pedal was pressed the shock damping would theoretically free up the shock to absorb those braking bumps. The amount of damping change was 12 percent (the equivalent of six clicks out on the compression adjuster). BASS wasn't a failure through braking bumps (as long as the gas was turned off), but unfortunately, BASS worked anytime the rear brake pedal was pressed and could lighten the shock's damping on the face of jumps, in smooth corners, when dragging the drags through whoops or places where you wanted more compression. Additionally, the torque effect problem could not be solved by slightly lighter compression damping. Later, ATK's Horst Leitner and Eyvind Boyesen developed anti-torque rear suspension systems that solved the chain torque problem without utilizing the shock. 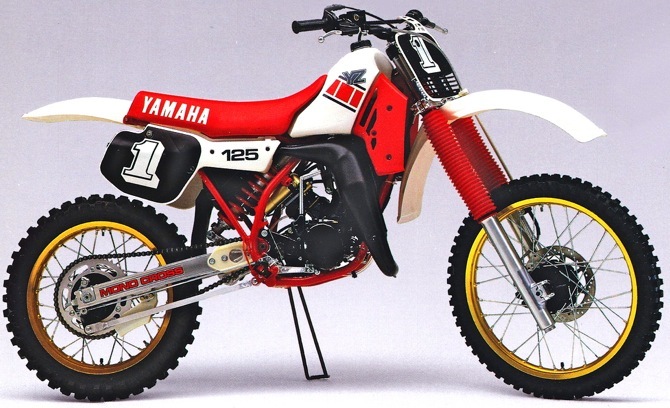 BASS was found on the 1985 YZ125, YZ250 and YZ490. BASS was not a hit with MXA test riders. Yamaha rider would either cut the cable or wire it open (and install a stiffer shock spring). In most cases they sentthe shock out to have it revalved by the White Brothers (and have BASS removed). Yamaha dropped it one year later.